More consumers trust shopping recommendations from brands than online influencers, according to new research from IRX (InternetRetailing Expo), Europe’s leading event focusing on growth and innovation in online and omnichannel retail. 45%* trust recommendations offered directly from a brand (online and in-store advertising, shop assistants, in-store displays) compared to a quarter (29%) who trust online influencers like Instagrammers, YouTubers and Fashion bloggers for recommendations. Online influencers do however top the list when looking at trust by those turning to third parties for shopping recommendations, beating national newspapers (26%), media celebrities (18%) and fashion magazines (17%). Those aged 16-24 who have turned to others for shopping recommendations are more likely (34%) to be influenced by in-store shopping recommendations from online influencers compared to those aged 55+ (7%). The research into online and in-store retail experiences and expectations, conducted by Censuswide, also found that over half of Brits (51%) think e-commerce giant Amazon provides the best delivery and returns service. Women are also the most reliant on brands to help their shopping experience, with 39% relying on recommendations from brands for online shopping. The high street is also still highly valued by female shoppers – 42% miss being able to ‘experience’ the product look, feel, fit when they shop online. 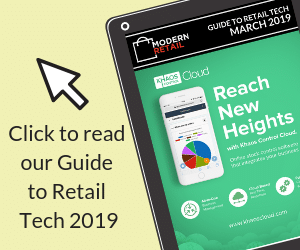 Participants at IRX, which runs from the 3rd-4th April 2019 at Birmingham’s NEC, will get to see first-hand the latest technologies helping retailers build shopping experiences that delight customers and boost business. IRX (InternetRetailing Expo) 2019 is an unmissable two days of essential, thought-provoking content, featuring the the UK’s largest multichannel education programme, and attracting thousands of attendees. IRX 2019 will take place over two days on the 3rd-4th April 2019 at Birmingham’s NEC. It’s totally free for all online retailers, industry professionals and press to attend and registration is now open at www.internetretailingexpo.com.